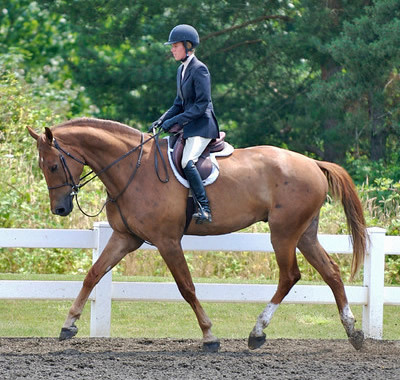 “Fredy” is a 2003 chestnut jumper gelding with two high socks and a star. 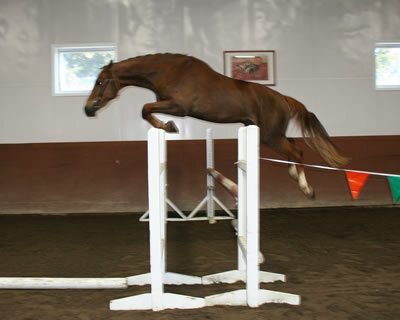 Jumps just like his sire, Nassau, 2005 KWPN Horse of the Year. Already at 17hh, he shows ease and agility in the chute. Bold, athletic and willing. Has the temperament for an amateur, but jumps big enough for a professional. Just started under saddle.